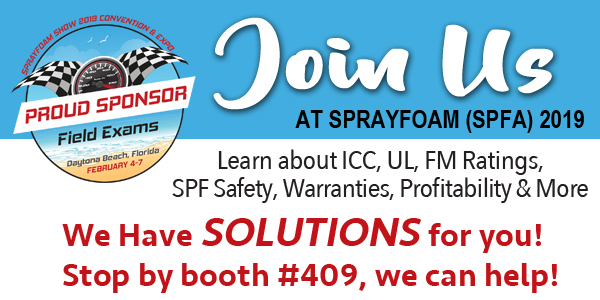 Join NCC at the SPRAYFOAM 2019 Convention and Expo February 4th through 7th at the Hilton Daytona Beach Oceanfront Resort in Florida. We will be at booth #409 showcasing our durable, seamless, waterproofing roof coatings that are ideal for use in conjunction with Sprayed Polyurethane Foam (SPF). If you are unable to attend the show but are interested in additional information regarding our AcryShield SPF Roof Coating Systems, download our FREE Brochure!